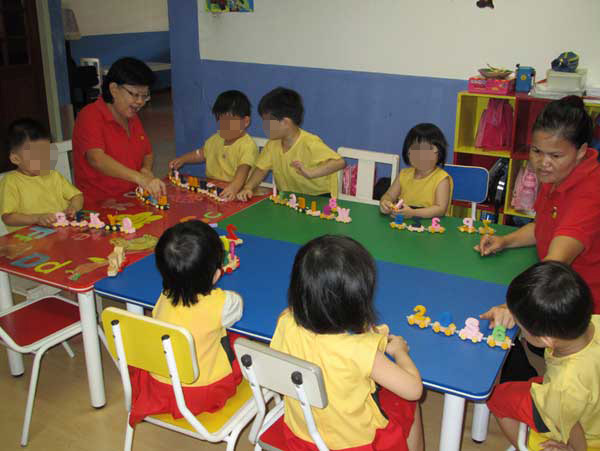 The centre will be operated by stay-at-home parents on a voluntary basis. 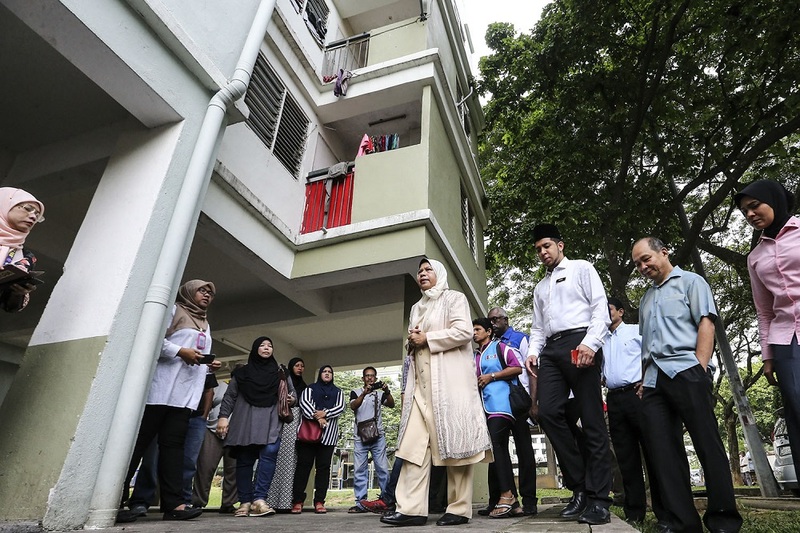 Housing and Local Government Minister Zuraida Kamaruddin (centre, in cream outfit) during the visit. 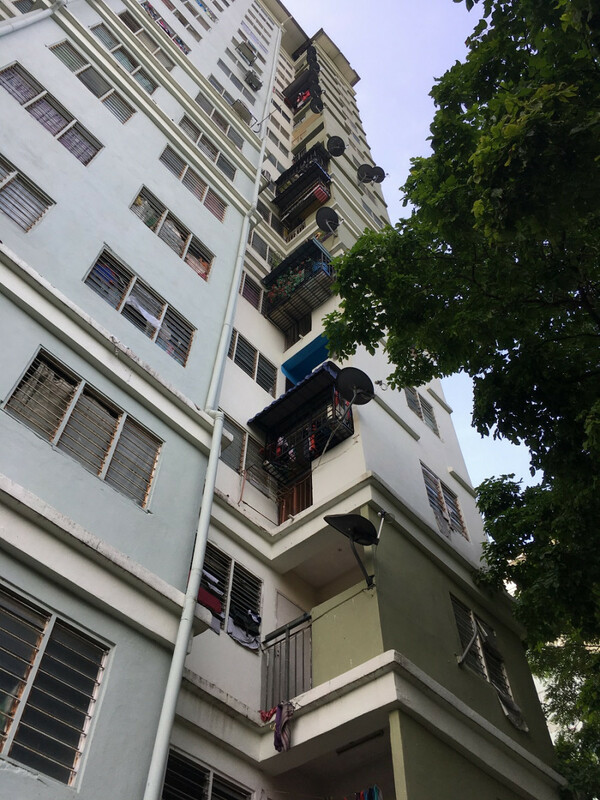 The proposal was put forth during a visit to the Kota Damansara low-cost People's Housing Project (PPR) flats where a three-year-old girl fell to her death from the 17th floor. Zuraida told The Star that the idea for a "community babysitting system" will be proposed as part of a national community policy that will be finalised by the end of this month. She added that a pilot study was conducted at PPR Sentul and an unnamed PPR complex in Kelantan, where she hopes to launch the programme on 1 October. According to Zuraida, the community childcare centre will operate for "three to four hours daily depending on the needs of residents at the respective flats", as reported in New Straits Times. Additionally, parents who volunteer at the centre will be given incentives. "Apart from helping parents and avoiding recurrence of untoward incidents, the ministry plans to nurture the spirit of helping each other and responsibility among the community via this programme," she said. Siti reportedly climbed onto a plastic chair that was in the balcony of her home and slipped from it in the 7.10am incident. Her parents had left at 6am to sell nasi lemak in Shah Alam. Siti's 14-year-old sister had left at 7am to send another sibling to a nearby kindergarten. When met at the Sungai Buloh Hospital, Siti's parents said they accepted what had happened as fate and "did not blame their teenage daughter for leaving the flat", The Star reported. 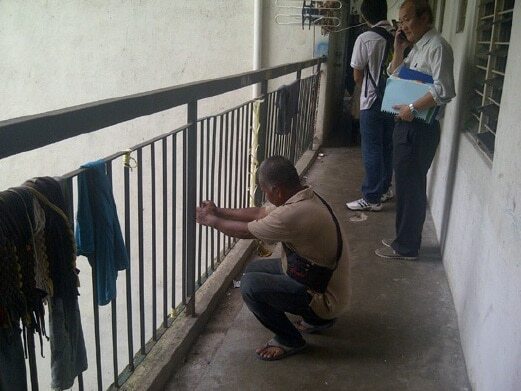 Malay Mail reported that a total of four similar mishaps have happened at the low-cost flats since 2008. In past incidents, rusty balcony railings were to blame. Balcony railings at Kota Damansara PPR are in dire condition. When confronted, she said that she was "hiding from the sun". He added that he is ready to face disciplinary action from UMNO for his stance. The police are currently searching for the third suspect.